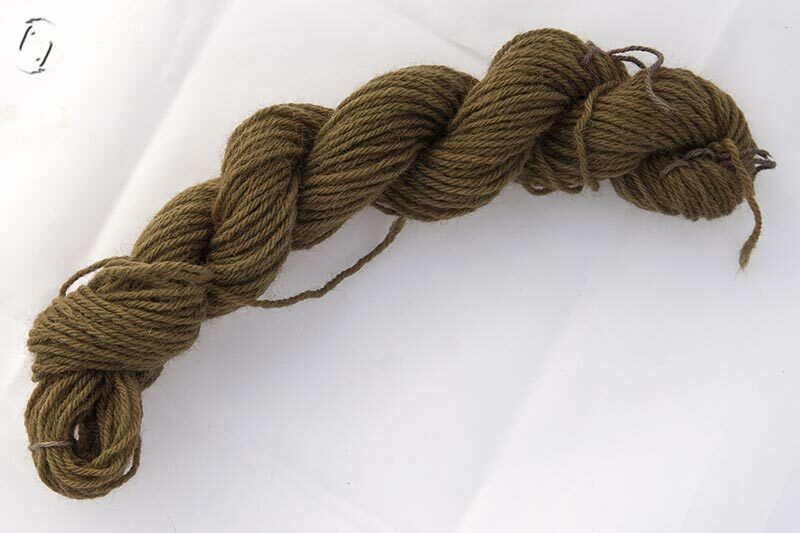 I’ve been modifying and dyeing a few skeins here and there which I can’t be bothered posting separately. Lady’s mantle with iron. Since the two hanks I did earlier were so similar, I thought I might as well modify one, I can’t remember why I didn’t do so immediately, but here it is. Watercolour solution, cold dyed. Tagetes and coreopsis. What I did after I was done testing was pop a hank of yarn into each jar with more iron, and it was so strong that they took up a dark colour instantly! No heat, just left them in there for a bit. 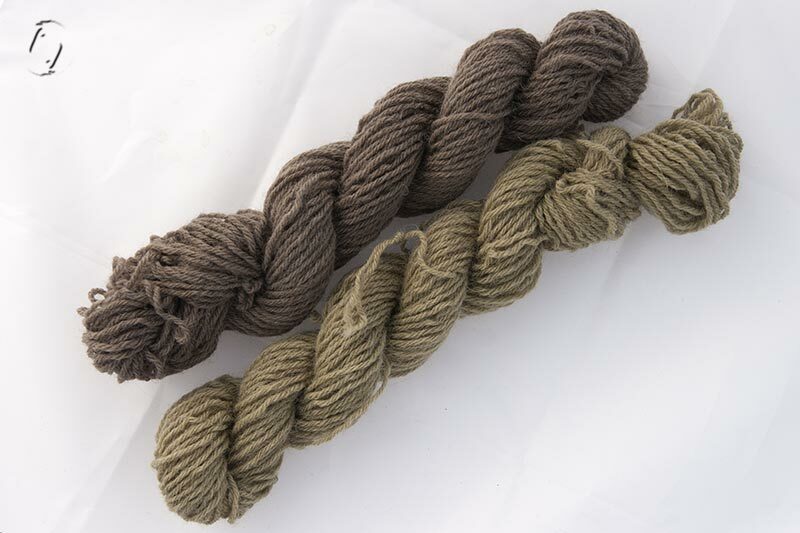 Some rinsed out, but they’re still a lot different from my other yarns. Another batch of reeds, this time only alum mordanted, no CoT, and from the freezer to see if that ruined the plants. 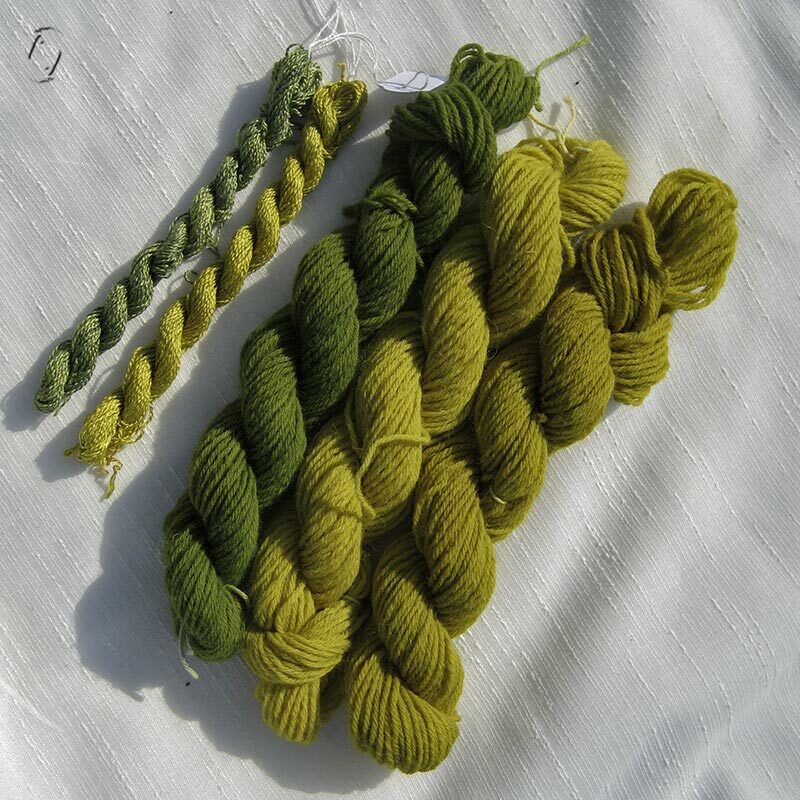 Complete succes, so having an abundance of this shade I overdyed some with woad. Lidt blandede fed, fra toppen er det Løvefod puttet i jernblanding, coreopsis og tagetes akvarelfarve tilsat jern og et forsøg med frosne tagrør og derefter vaid. Helt nederst alle dagens modeller linet op til fotosession. GORGEOUS, Pia! What luscious colours piled up like that. It is as good as eating a delicious meal to see that. I guess that’s what ‘feasting your eyes’ means! This must be the woad the scots used for painting their skin for battle. I didn’t realise it was so lovely. Mel Gibson had a bluish look in the movie (ugh). It would be difficult to be better than that photo! Love the colors. 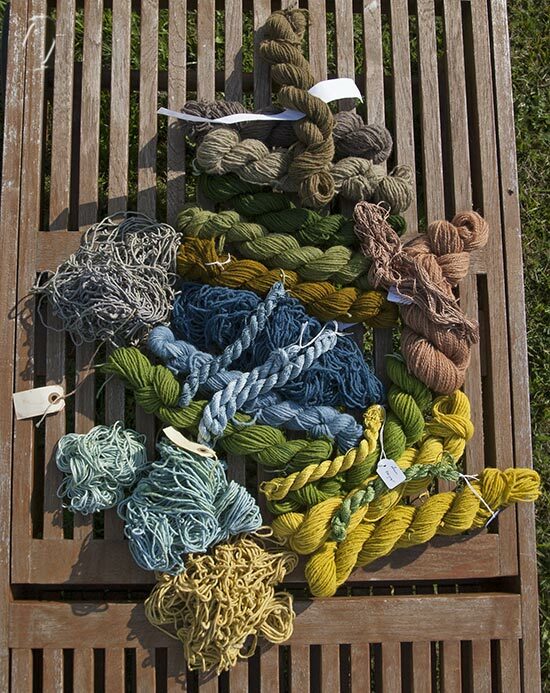 What will you make with these gorgeous colors? Collect them and ogle? 😉 Saving them for tapestry weaving in winter, both dyeing up a supply and planning patterns etc. are each enormous projects, there’s no way I have time or mind capacity for both equally at the same time. I totally understand projects and how long things can take as well as needing to give your brain a break! I will be anxiously awaiting your tapestry that I know will be gorgeous! Beautiful! Now that I’ve made my first attempt at dying I see how hard it can be. You do a fantastic job…Love the colors! Is it wrong that I want to dive into all the colors and have a swim? Really, though they’re just gorgeous. I am in love with those greens, especially. I have to admit myself that I do love to just look at them. In no hurry to work them up, just making them and comparing them etc. is great.